The RPA provides important new protections to asylum seekers, particularly the most vulnerable asylum seekers such as people who are pro se or detained. However, I can think of a couple important issues that are not addressed. Below are some problems that my clients have faced over and over again, and some suggested solutions. Within the circle of attorneys who represent asylum seekers, the “asylum clock” may be the most discussed problem in need of resolution (Penn State Dickinson School of Law recently issued a comprehensive report about the asylum clock). When a client files an affirmative application for asylum, the clock starts to run. When the clock reaches 150 days, the applicant may file for an Employment Authorization Document (“EAD”). The EAD is very important because it allows an asylum seeker to work legally in the United States, and serves as a form of identification. The problem is, if the alien does anything to delay his case, the clock stops, and generally will not re-start. So, for example, if an alien is represented by counsel, and the attorney cannot accept a particular court date due to a conflict, the clock stops and the alien never receives an EAD. Also, when an unrepresented asylum seeker asks for more time to find an attorney, the clock stops. It is usually impossible to restart the clock. 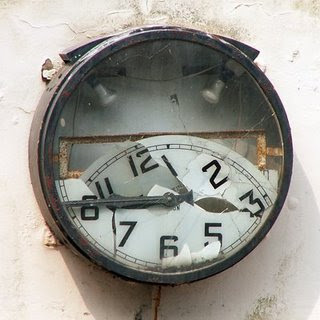 Aliens who enter the United States without inspection or aliens who file for asylum after one year in the U.S. do not have a clock, and it is usually not possible for them to obtain an EAD. Thus, many asylum seekers endure one to two year waits (which are common in Immigration Court) without the ability to work legally, and without any form of identification. One possible solution to this problem is to give the Immigration Judges more authority to grant an EAD. If the alien is deliberately causing delay in his case, the IJ should not grant an EAD. But where the delay is not caused by the alien or is reasonable, the alien should receive an EAD. A second area in need of reform is the EAD itself. Aliens granted asylum, withholding of removal, or relief under the UN Convention Against Torture (“CAT”) are entitled to an EAD. The EAD is valid for one year and must then be renewed. The validity period of the EAD should be changed to at least two years. Aliens with asylum generally apply for their lawful permanent residency (i.e., their green card) after one year. However, aliens who have withholding of removal or CAT relief are not eligible to become LPRs. Such aliens must renew their EADs every year. This can be problematic for a number of reasons. First, the cost to renew is $340.00 every year. For aliens with limited means, this sum may be prohibitive. Second, assuming the alien remembers to file on time, the new EAD may or may not arrive prior to the expiration of the old EAD. If the new EAD does not arrive in time, the alien’s job might be jeopardized, as employers will often terminate employees without a valid EAD. Third, many states link the driver’s license to the EAD, so when the EAD expires, the driver’s license expires. Even if the EAD arrives on time, there may be a delay in renewing the driver’s license. The alien could be left without a valid driver’s license (or any valid ID). These problems would be greatly reduced if the EAD were valid for two (or more) years, instead of one year.